A new survey finds 24% of SA's teens have been cyber bullied and 84% know someone who has. One in five South African teens have experienced cyber bullying first-hand and 84% say they know someone who has been bullied online. This is according to a global survey by Vodafone, which found that over half of young people see cyber bullying as worse than face-to-face bullying. The global online study conducted by YouGov surveyed almost 5 000 teens aged 13 to 18 in 11 countries, including South Africa. Overall, it found an average of 18% of teens across the countries had been cyber bullied and in South Africa the figure was 24%. South Africa was the fourth highest after New Zealand (30%), the US (27%) and Ireland (26%). Children surveyed in the Czech Republic and Spain were found to be the least likely to have personally been cyber bullied, with only 8% responding yes. 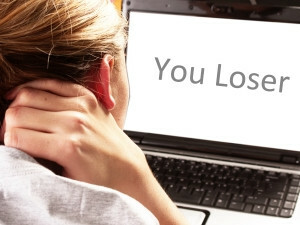 The statistics uncovered show cyber bullying is a worldwide problem, with 43% of participants believing it to be a bigger issue for young people than drug abuse. On average, across the 11 countries, 41% of teens said cyber bullying made them feel depressed or helpless. Twenty-six percent felt 'completely alone' and 18% experienced suicidal thoughts. One in five teens had not gone to school because of cyber bullying incidents and a quarter had closed down their social media accounts because of it. Almost 40% admitted they had not told their parents or guardians about cyber bullying experiences because they felt ashamed (32%), were scared their parents would get involved (40%), or worried what their parents might do (36%). Over 60% of children surveyed in South Africa agreed cyber bullying is worse than bulling face-to-face. Forty-three percent of those surveyed said they find it hard to support a friend who has been bullied on social media, as they 'could not find the right words' to show support. Seventy-two percent of teens said they would be likely to use an emoji to express compassion or support for friends being cyber bullied. In response to the findings, Vodafone has introduced the #BeStrong anti-cyber bullying emoji initiative, which involved the creation of a suite of 'support emojis' to raise awareness of the importance of conveying compassion, sympathy and support when friends are being bullied online. The emojis were chosen by the almost 5 000 teens surveyed from a wide selection designed by Vodafone and its anti-bullying panel as their favourite symbols for compassion and support. Vodafone Foundation director Andrew Dunnett says the results of the survey will be a serious concern for any parent. "The new generation that was born digital thrives in a world of constant connectivity, but there are clear risks for young people as well as benefits ? and it is striking that cyber bullying troubles many young people more than drug abuse. "Our research showed many teenagers find it difficult to help their friends when cyber bullying is happening, and the #BeStrong campaign has been created to help them convey emotional support," says Dunnett. Locally, Vodacom says it will support the campaign through its social media platforms and "will encourage its customers to support this anti-bullying initiative". Dacher Keltner, professor of psychology at UC Berkeley and psychologist adviser on the Pixar film 'Inside Out', believes emojis can help tell victims of cyber bullying that they are not alone. "A lot of emojis can be limited for communicating emotions. The bystander needs better tools; specific emojis that they can send their friends to show they are there for them," Keltner says in a new video aimed at helping support teens going through online bullying. A quarter of teens in South Africa say they find it easier to express themselves using words, while 10% said they prefer to express themselves using emojis. Sixty percent of local children, however, say they find it easier using a combination of both emojis and words. Children in South Africa were also found to be the most likely out of all the countries to share the emojis that have been created to show support and compassion for people who are being cyber bullied, with 90% agreeing. * Total sample size was 4 720 13- to 18-year-olds in the UK, Germany, Italy, Spain, Netherlands, New Zealand, Greece, South Africa, USA, Ireland and the Czech Republic, with 503 from South Africa. The figures were given an even weighting for each country to produce an 'average' value.